There’s just something about an old, abandoned, insane asylum that screams haunted. For one thing they’re usually isolated following the view that out of sight, meant out of mind to the general populace. In the early days Mental illness was not understood as well as it is today leaving those who suffered with the impairment at the mercy of sadistic practitioners who could experiment on them without fear of reprisal. Using techniques from electroshock therapy to ice pick lobotomies in an attempt to cure them of their illness. Some people believe the walls of a building absorb the vibrations of its past occupants, hence the reason for paranormal activity in some places. What we are witnessing is the residue of a past life that has imprinted itself upon the structure that houses it. There are those who believe mental illness is a more enlightened state of consciousness. An ability to see, that which remains hidden from the rest of us, and would explain why one with a mental impairment will speak to an object, or person, we cannot see. Maybe they’re carrying on a conversation we can only hear one half of. 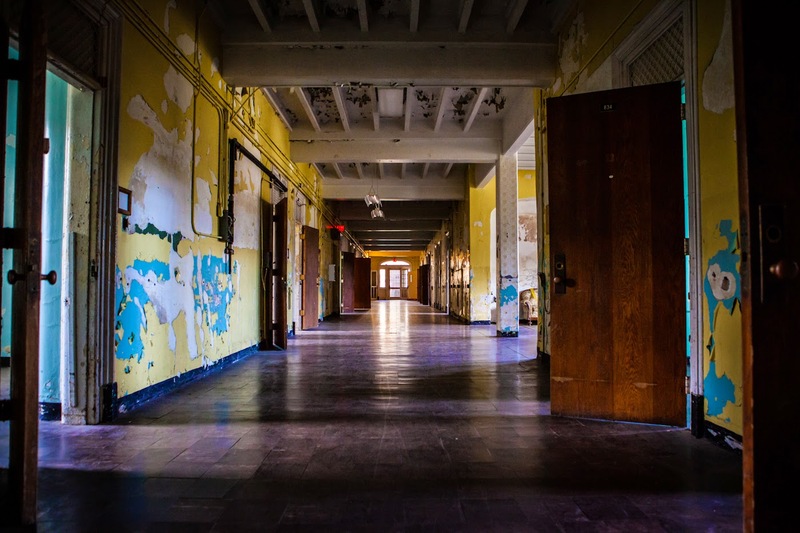 Is it any wonder that insane asylums are the creepiest places? Billed as the largest hand cut stone structure in the U.S, the second largest in the world, beat out only by the Kremlin, the Trans-Allegheny Lunatic Asylum, formerly known as The Weston State Hospital in Weston, West Virginia has secured its place as one of the ten scariest places in the U.S. 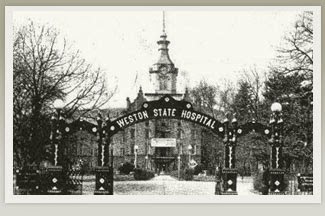 Originally named Trans-Allegheny Lunatic Asylum, it was renamed Weston State Hospital. The new owners of the property have restored its original name that has been protested by mental illness advocates. Originally constructed by Irish stonemasons between 1858 and 1881 the hospital opened its doors to patient in 1864. 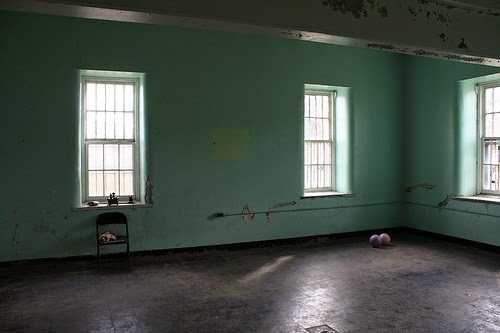 It was designed to hold 250 patients but by the 1950’s the patient population had skyrocketed to 2,400 tormented souls held in overcrowded, generally poor conditions. Changes in the treatment of mental illness and the physical deterioration of the structure forced its closure in 1994. In one hall on the first floor visitors have reported being pushed against the wall while a loud whistling sound, with no known source, comes from down the hallway. The apparition known as Ruth, who as a patient was very violent towards men and would often throw things at them, is purported to haunt this same hallway. In ward two on the second floor shadowy figures are sometimes seen near where a patient was stabbed seventeen times by another patient. Two other patients were known to have hung themselves from the curtain rods in their rooms, and visitors have reported hearing voices telling them to get out. The third floor houses the nurse’s quarters where there have been sightings of Elizabeth, the ghost of a nurse who once worked in the hospital, it is purported that she was killed by a patient and her body lay at the bottom of a stairwell for nearly sixty days before it was discovered by authorities. There have been reports of voices and footsteps where no one can be found. In the geriatrics wing shadowy figures are often encountered. Ward R, on the fourth floor, is one of the creepiest areas with reports of a ghostly shadow known as the Creeper. Then there’s Lily’s room. While it may be bright and airy during the day the small toys left on the windowsills are sure to send a chill down your spine. There are no clear reports on who Lily was in life. Some say she was the child of Gladys Ravensfield who had been brought to Trans-Allegheny after she had been raped by a group of soldiers during the civil war. Gladys gave birth to a baby girl the staff named Lily, but the newborn died several days later. Yet the ghost is that of a child who, it is reported, will place her hand into your own, and will tug at your clothes like a child trying to get your attention. She will also take any candy left out for her. 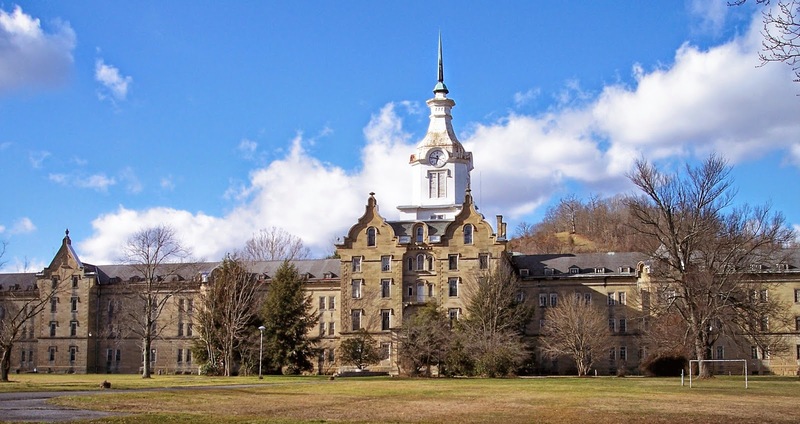 The Trans-Allegheny Lunatic Asylum is open to the general public for a variety of tours. From Heritage tours that focus on the unique architecture, to ghost hunting tours that range from half an hour to overnight for the truly dedicated ghost hunter out there. The hospital was featured on Ghost Hunters in season four episode nine which aired in 2008. On October 30, 2009 the travel channel aired a seven hour special on its reality TV show Ghost Adventures.